A healthy heart is needed to live and function properly, hence you have to learn to take good care of your heart. 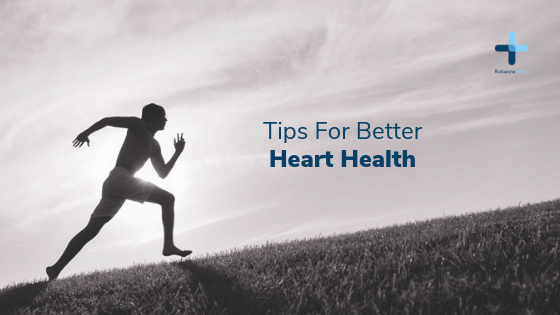 You don’t need to be an athlete to boost your heart health, simply create an exercise regimen to ensure you are in shape. Besides improving flexibility, strength and endurance, exercising moderately can significantly reduce your exposure to heart disease, and other chronic illnesses. Exercising for a healthy heart: Cardiovascular or aerobic exercise is any form of activity that increases your heart rate and respiration. Essentially they make the heart work harder and become stronger. Cardiologists recommend doing aerobics for at least 150 minutes each week; you can spread the workout time in any manner that works for your schedule. For example you can run 10 minutes five times weekly (vigorous) or take a 20-minute walk each day. 1) Running – Running is much more vigorous than walking, adding it to your exercise calendar is one of the best ways to burn calories. Running regularly helps you lose weight, strengthen the heart and reduce your risk of heart disease. 2) Brisk walking – Walking is a moderate exercise to improve fitness and cardiovascular health. Add leisure strolls into your exercise program; it is better than sitting on your couch all day. 3) Cycling – Cycling helps strengthens and tone your lower body and the core body muscles although its effect is quite moderate. You can start cycling today on the road or in the gym. 4) Swimming – This is a safe alternative if you have inflamed joints that walking or running can worsen. Participating in swimming classes or laps will momentarily raise your heart rate and help in improving your heart health. Your heart is a muscle, and it gets stronger and healthier if you lead an active life. It’s never too late to start exercising, and you don’t have to be an athlete. Even a casual stroll for 30 minutes a day can make a big difference.